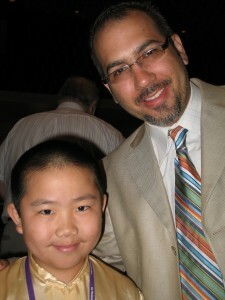 The youngest AAJA (Asian American Journalists Association) member, Perry Chen, a 5th-grade elementary school student and award-winning child film critic and radio talk show host on wsRadio ( http://www.wsRadio.com/perry) is running for AAJA Men of Broadcast Calendar. AAJA is promoting Asian-American men to potential employers and the general public in TV and radio through a fund-raising calendar. The top 12 vote-getters (out of over 40 competitors) will appear in the calendar in each of the 12 months. Perry Chen is among the long list of accomplished men and the youngest at that. 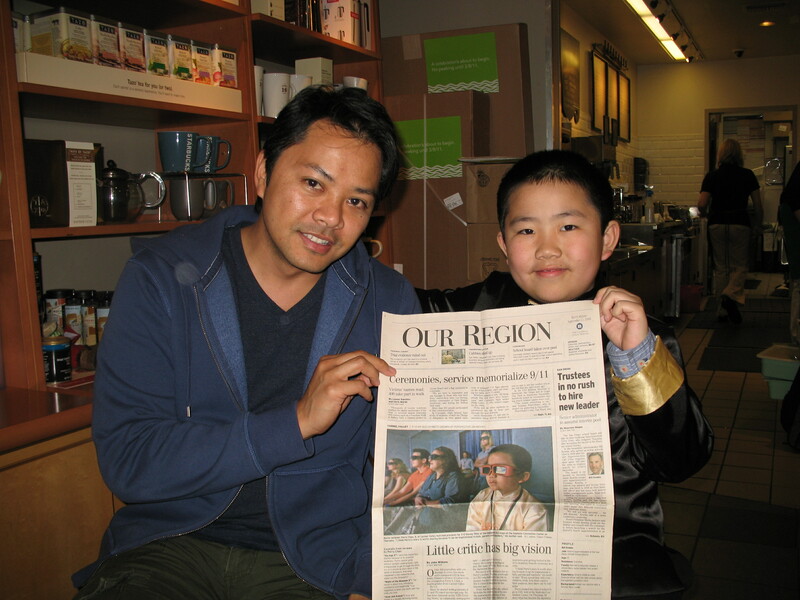 In fact, Perry is the youngest AAJA member in history when he joined at 9, and youngest winner of San Diego Press Club excellence in journalism awards in October 2010. His work, accomplishments, and influence shows that even at a young age, you can make a difference. 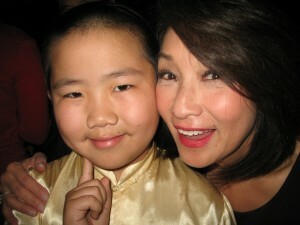 Each vote is $1 to help AAJA fund-raising, voting ends April 10, 2011.
and The Young Icons, a nationally-syndicated TV show. In May 2009, Perry made his national television debut on CBS Evening News with Katie Couric, and in March 2010, he appeared in his first national radio interview on National Public Radio (NPR) with host Liane Hansen. Perry’s hobbies outside of film reviews include drawing, reading, folding origami, exploring nature, and gardening. Perry is represented by Rebel Entertainment Partners, a talent agency in Hollywood; and Shamon Freitas Agency in San Diego. Perry’s talents extend to filmmaking and animation. He recently finished two animation shorts in collaboration with twice-Oscar nominee Bill Plympton: “Ingrid Pitt: Beyond the Forest” about a young Holocaust survivor” which will be screened at the Burbank International Film Festival, and “Guard Dog Global Jam,” which premiered at the SXSW Film Festival in March 2011 to rave reviews. The Asian American Journalists Association (AAJA) http://www.aaja.org/ was founded in 1981 by a few Asian American and Pacific Islander (AAPI) journalists who felt a need to support one another and to encourage more Asian American and Pacific Islanders to pursue journalism at a time when there were few Asian American and Pacific Islander faces in the media. AAJA’s expansion into a truly national organization took off in 1985 with the formation of additional chapters. As a non-profit educational organization with more than 1,400 members in 21 chapters across the U.S. and Asia, AAJA’s largest membership bases are generally concentrated in metropolitan areas on the West Coast (Los Angeles, San Francisco, and Seattle), East Coast (New York City and Washington, D.C.) and Mid-West (Chicago). Members are also organized in other areas throughout the U.S. (Arizona, Atlanta, Chicago, Denver, Florida, Hawaii, Michigan, Minnesota, New England, North Carolina, Philadelphia, Portland, Sacramento, Texas, and San Diego). In addition, AAJA has a growing number of members working throughout Asia, which underscores the rapid growth of media properties in Asia. Close to one-third of AAJA’s members are students, attesting to the organization’s emphasis on bringing young people into the news business. AAJA has also relied on leadership in the community and Asian-language media. AAJA is proud to include among its members some of the top journalists in the country, from network news anchors and reporters to Pulitzer Prize-winning writers, editors and photographers, to national radio show producers and major magazine editors. In 1995, AAJA was honored with the Medal for Distinguished Service in Journalism by the University of Missouri for its contributions to the industry.